But, scofflaw that I am, I keep them in the freezer, and I nuke them for 10 &#151 11 seconds (12 would just ruin it), and I eat them with great relish. 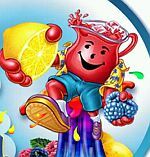 I have this picture of the Kool-Aid guy because it’s impossible to find a picture of these blue jello snacks on the internet, so I will perforce have to take it upon myself to snap one at a later date. 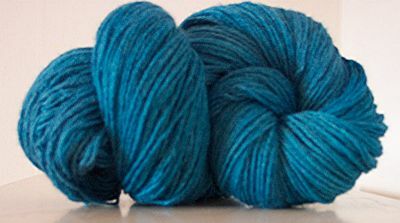 In the meantime, I did come to know that most “blue kool-aid” images refer to the art of dying wool yarn. 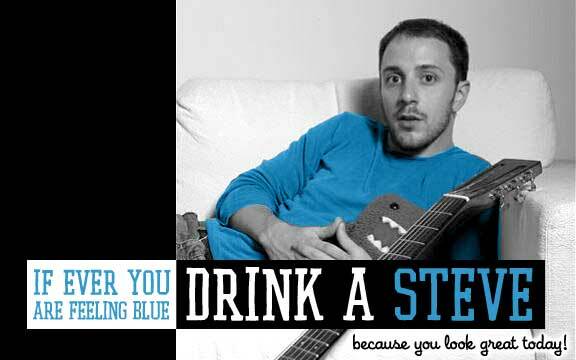 There is also an adult drink made with blue Kool-Aid called the “Steve”, after Steve, the orginal host of Blues Clues&#153. The site has this ad, and this recipe.